China International Petroleum & Petrochemical Technology and Equipment Exhibition (cippe) is an annual gathering of petroleum and petrochemical industry. With a magnificent exhibition space of around 90,000 sqm, 18 international pavilions, 1,800 exhibitors and over 117,000 professional visitors from 65 countries and regions, cippe has become one of the largest petroleum exhibitions in the world. 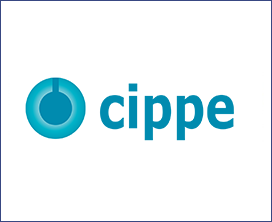 Moreover, cippe2018 has received great support from the domestic oil giants such as CNPC, SINOPEC, CNOOC, CSSC, CSIC, CIMC- RAFFLES, RG Petro-machinery (Group)Co., Ltd., HONGHUA, YANTAI JEREH, KERUI, SANY, NHI, HBP, Tidfore, JERRYWON, ANTON, JUNMA, SHENKAI, Tianjin LILIN and etc. Technology and equipment for geophysical exploration, well logging and drilling ( for onshore and offshore ).